Does your team use multiple tools to get projects done? Good news! TeamGantt plays well with others so your team can be a lean and mean project machine. 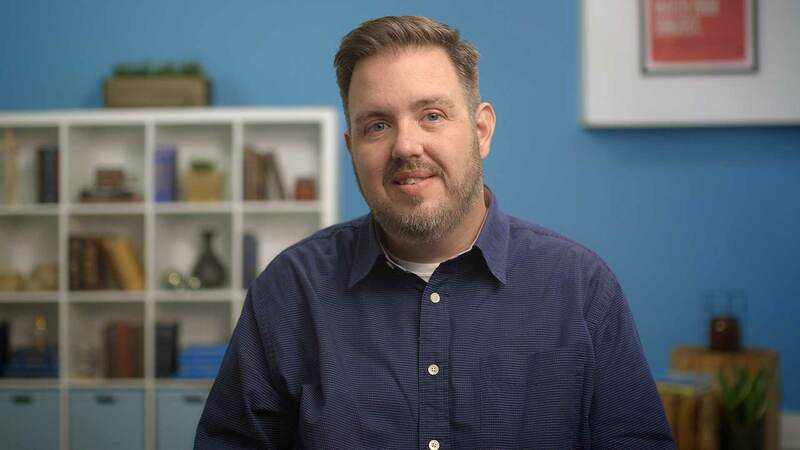 Here are 3 TeamGantt integrations that can help you save time and headaches as you push toward the finish line together. 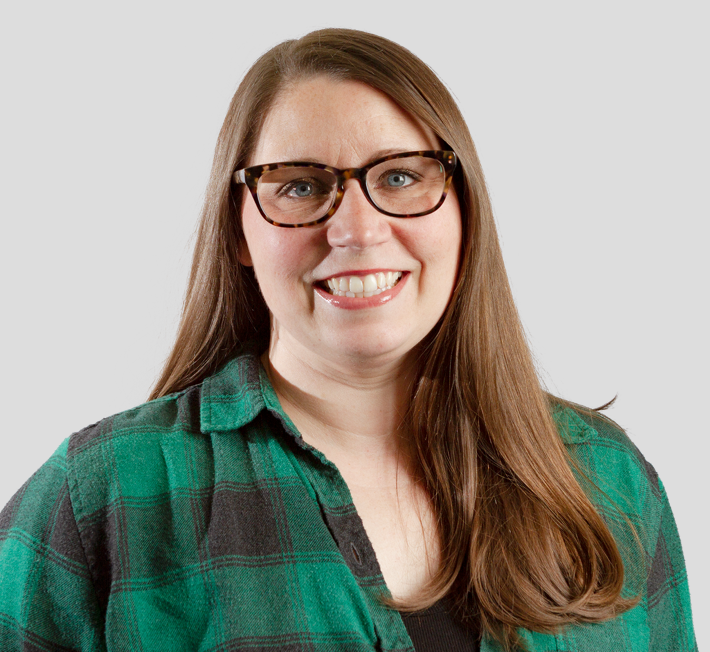 Slack’s a standard collaboration tool on lots of project teams. But it can be tough to keep track of conversations that leave you with some kind of to-do. Enter the TeamGantt for Slack integration. It fills in the gap so pop-up requests don’t slip through the cracks. 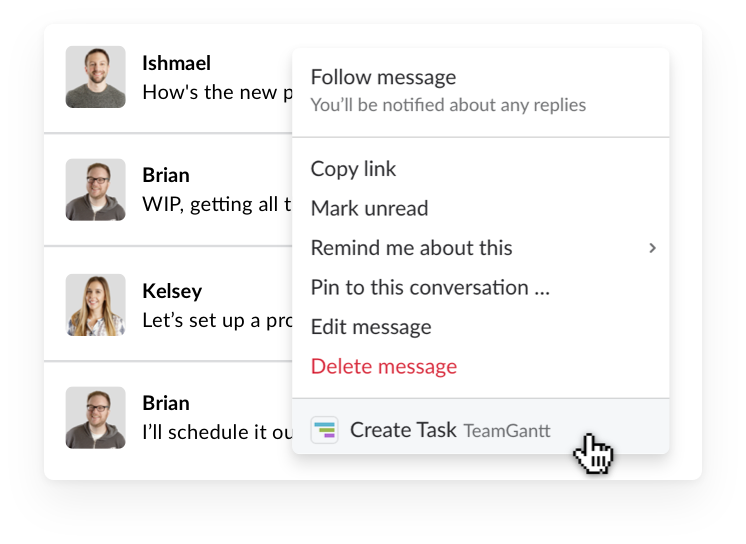 Create TeamGantt tasks from Slack chats: Add new tasks to your TeamGantt projects directly from Slack using actions or slash commands. Stay on top of daily tasks: View your daily task list and update task progress right from Slack. Quickly access active projects: Pull a list of active projects into Slack—and filter by search terms. Manage your notifications: Choose when and how often you want to be notified about TeamGantt tasks. 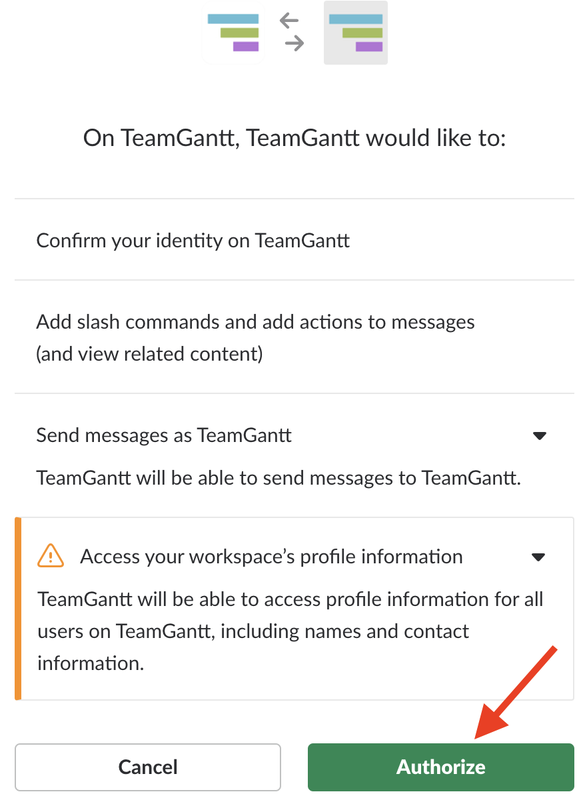 Go to TeamGantt’s Slack integration page, and click the big blue Add to Slack button at the top of the page. You’ll need to give TeamGantt permission to share some basic info with Slack to make the integration work properly. Review those permissions, then click the green Authorize button to finalize the integration, and you’re in! If you love gantt charts but have die-hard Trello fans on your team, you can use the TeamGantt Power-up for Trello to bring your two worlds together. With TeamGantt’s Trello integration, you can view your Trello cards in a project timeline and use drag-and-drop functionality to move things around. Schedule tasks, create dependencies between cards, assign resources, and update progress—all without leaving Trello. You have the flexibility to determine how cards sync to TeamGantt. Sync individual cards to TeamGantt manually, or let it happen automatically at the board level. It’s your choice! Log in to your Trello account. While viewing one of your boards, click Show Menu, then click Power-Ups. Finally, link your TeamGantt account to your Trello account. First, generate a bearer token for your app by going to Account Settings > Configure API Access (beta) or by clicking here. Next, visit our API documentation. Right now, our API is in beta testing. So just keep in mind that some things could change before it’s all said and done. Of course, that also means you get to have a say in how this integration takes shape. If you’ve got any feedback about our API, we'd love to hear it! Ready to give these integrations a try? You’ll need a TeamGantt account to make the connection. If you don’t have one, you can sign up for free today!